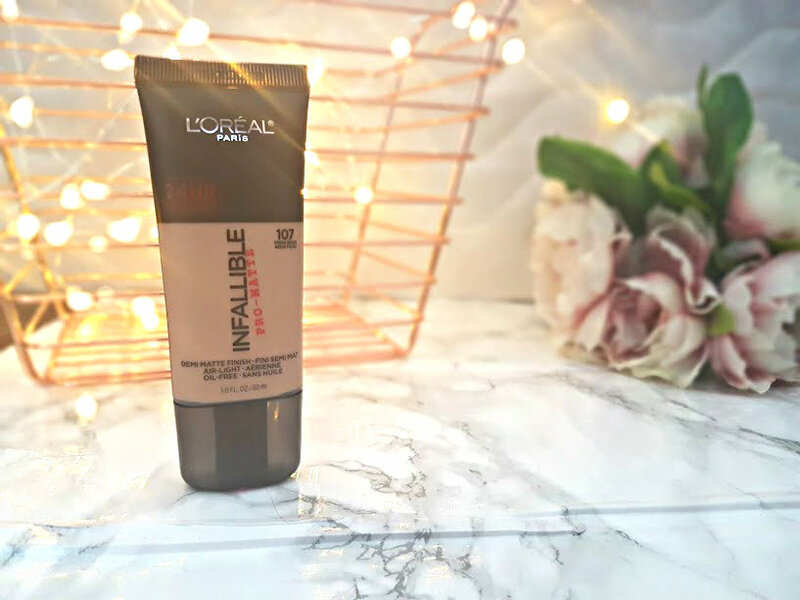 The L'oreal Infallible Foundation used to be a firm favourite of fine, it was all I ever used. But as time went on, the formula becoming too drying on my skin and their darkest shade (30 Honey, might I add) became far too light for me. A few bloggers have been raving about the how the US formula is much better than the UK one and I just had to try it out. Unfortunately, flying over seas just to buy the foundation seemed a tiny bit too expensive, but good old eBay came through. There is a UK Seller which you can find under the username suntastic0_1, that supplies you with a variety of American makeup goodies. They are based in the UK and delivery was fast and with me within 3 working days. They sell a whole range of makeup items from the drugstore and you could spend hours browsing and choosing what to buy. I'm just going to put it out there, this foundation is incredible. Along with a few others I've been using lately this has restored my faith in L'Oreal foundations! I ended up going with the shade #107 Fresh Beige, after browsing swatches for days and watching videos of people similar shades to me in other foundations. It's just about perfect, its very yellow toned which is a good thing on Asian skin however I think the darker shade may have suited me a little bit better but it doesn't look awful. The packaging for the foundations, are very similar. Both in a tube, without a pump annoyingly however I have found that the US version is a lot larger in size compared to the one we get here in the UK. Its a slimmer tube and a bit more difficult to handle. This for me is very much high coverage, you need a small squirt on each part of your face to cover everything and anything. My scars, spots and uneven skin tone all get covered with this miracle worker and it blends like a dream. I have used both a buffing brush and beauty blender to see the difference in results, both work amazingly well! I prefer the blender as it looks a little more seamless and is easy to blend away but a brush is just as good. I find it covers perfectly and lasts me for an entire day, after applying at 7am for work and coming home at 7 its still in tact. No need to powder to remove shine or blot to control cakiness. The EBay seller has it retailing at £12.95 which is £5 more than what the UK version is sold for however I would repurchase this over the UK one any day. If you have always wanted to try the US verison/this foundation in general then I urge you to buy now!